According to Wikipedia, although color blindness is considered as disability, in certain situations it has advantages over normal vision because some studies conclude that individuals are better at penetrating certain color camouflages. But ofcourse, most websites today do not target the minority (color blinded internet visitors) so a browser that can convert these sites to color blind friendly is definitely a big help. 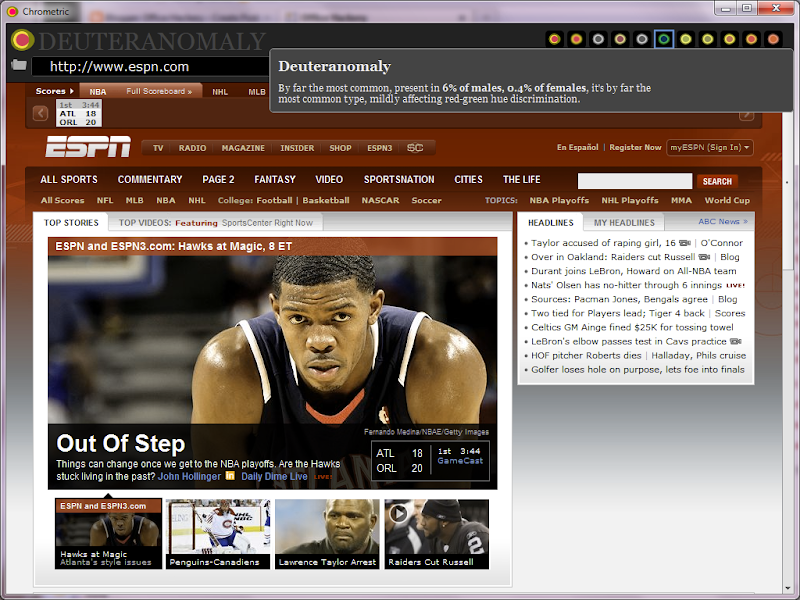 Chrometric is web browser that can simulates various viewing conditions and vision deficiencies. Chrometric works on Windows, Linux and Mac as long as Adobe-Air is installed.